The change in the price of gold and silver reflects popular feeling as the to stability of the world economic system, and at this point the soundness of the United States Dollar. Since the end of WW II the US Dollar has been the bedrock of the world economic system [prior to the war, it was the British Pound for 100+ years] The crash of 2008 greatly undermined world wide faith in the entire system, and the dollar in particular. Which lead a run up in the prices of precious metals. The silver market is especially volatile, since it is not as transparent as the gold markets, and groups of individuals can cause a price run up. There have been a number of instances where this has occurred. The change in the price of gold and silver reflects popular feeling as the to stability of the world economic system, and at this point the soundness of the United States Dollar. Since the end of WW II the US Dollar has been the bedrock of the world economic system [prior to the war, it was the British Pound for 100+ years] The crash of 2008 greatly undermined world wide faith in the entire system, and the dollar in particular. Which lead a run up in the prices of precious metals. The silver market is especially volatile, since it is not as transparent as the gold markets, and groups of individuals can cause a price run up. There have been a number of instances where this has occurred. When the price of silver started getting really unnaturally high, [in the $50 ozt range] the exchanges decided to up the deposit requirement to purchase option contracts by about four times the previous amount. This immediately drove thousands of day trading speculators out of the market, and the price plummeted. Silver is not a great arena in which to invest because of these reasons unless you really know what you are doing. The price of gold is still high according to historical levels, but I think it also reflects the market’s consideration that the number of dollars in circulation is vastly larger than it was just seven years ago, and therefore the price of gold reflects that increase. The dollar is still the foundation of the world economic system, and has gotten stronger relative to other currencies in the last few years. This does not mean that the US economy is doing well, it just means that the rest of the world trusts the US Government to pay its bills more than other nations, therefore the dollar is primary. Once you see another major nation’s economy start to be very vibrant, and its currency starts increasing in value and the dollar falling, then the price of gold will go up since the world market is priced in US Dollars. You can buy gold and silver in numerous manners. You can buy it through electronic trading like a stock, or you can buy it from smaller companies who will store it for you for a fee, or you can buy it from a coin shop are metals dealer. Depending on what you want it for will determine the best place to buy. If you are of the belief that the world order could rapidly fall apart and you want to be sure to have something physical of value that you can use to acquire goods and services, then an electronic form of gold makes no sense. Similarly it would do you no good to have it stored away from you. However there are great risks in owning physical gold and storing it safely. It is not traceable so if you have it about your home and some one finds it and takes it, its gone. 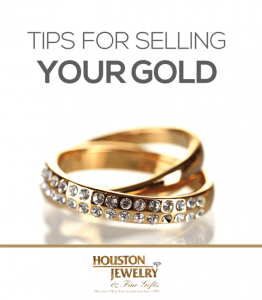 So those are some of the considerations one should take into account when deciding if buying precious metals is right for you. Note: If you want to trade in precious metals, like you would a stock, then electronic ownership is the best way to go. You can invest in any type of commodity there is, and all precious metals are commodities. Silver has the lowest cost so it is the easiest to buy. Right now platinum is lower than gold which is an historical inversion that has only happened a few times in history. That means that one of the two is vastly over valued or the other is undervalued. Platinum is a critical metal for catalytic converters for internal combustion engines. So one might infer that since world wide demand for new vehicles is down that if the world’s economy starts really going then the need for platinum will increase. If you would like to learn more about precious metals and investing and historical charts, you should really study the site www.kitco.com, it is one the primary resources for the trade.